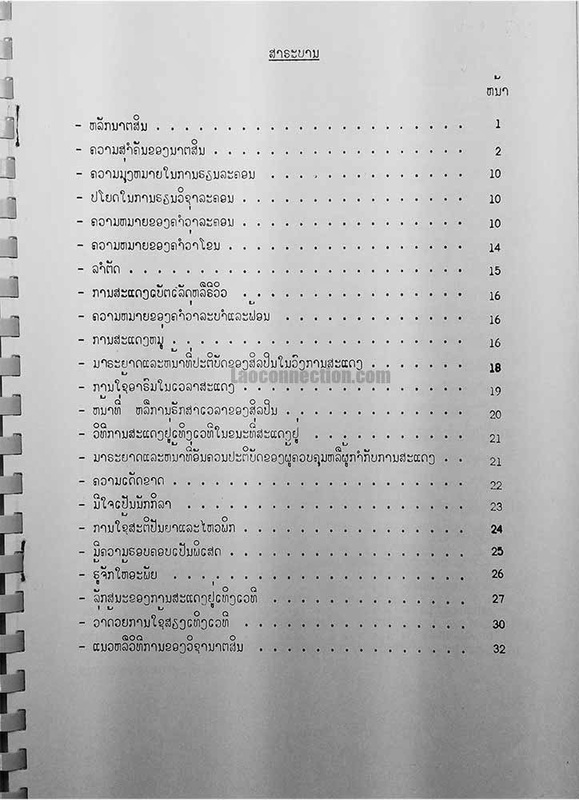 The title roughly translates to Learning traditional Lao dancing. It's approximately 203 pages, double sided, 8.5"x11", with comb binding. This book is an example of a rare find of an older book on a topic that doesn't have much published on it. 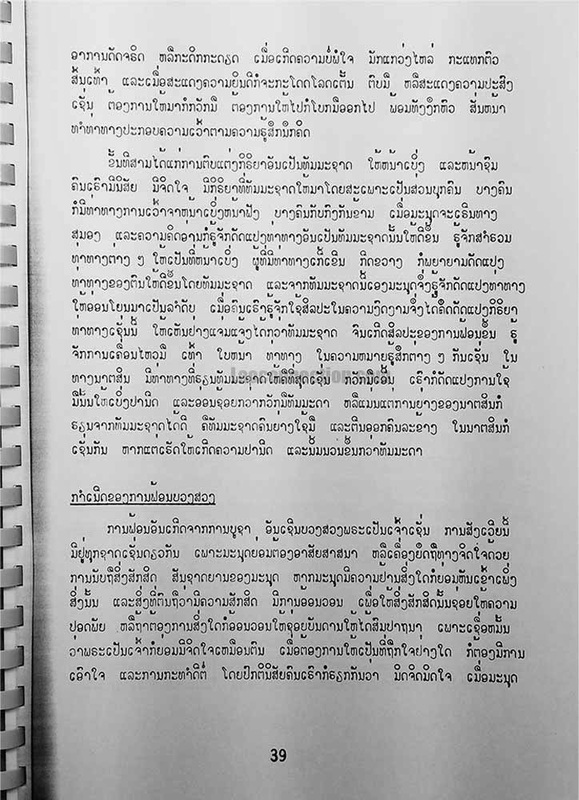 Though this is merely a photocopy and not the original, I don't think I've ever actually come across a manual on Lao dancing. But then again I'm not a dance student at the performing arts school. Perhaps they have a current one for which they use for their students nowadays. In any case, I was amazed to find this. 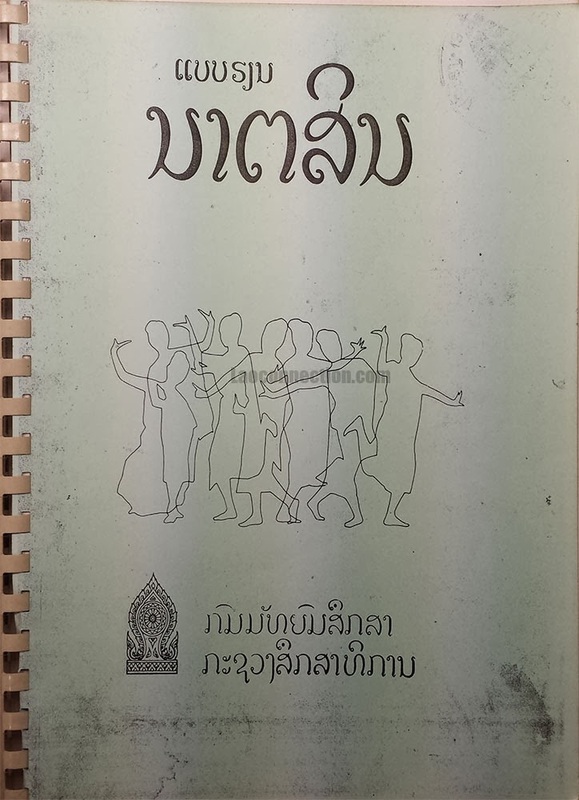 As someone who loves all things Lao culture, I loved that this book explains the different dancing styles, techniques and specific performances and their meanings. Although I've seen some Lao dance performances, I wasn't always sure of its background or why certain gestures and poses were important for example. This book explains it. 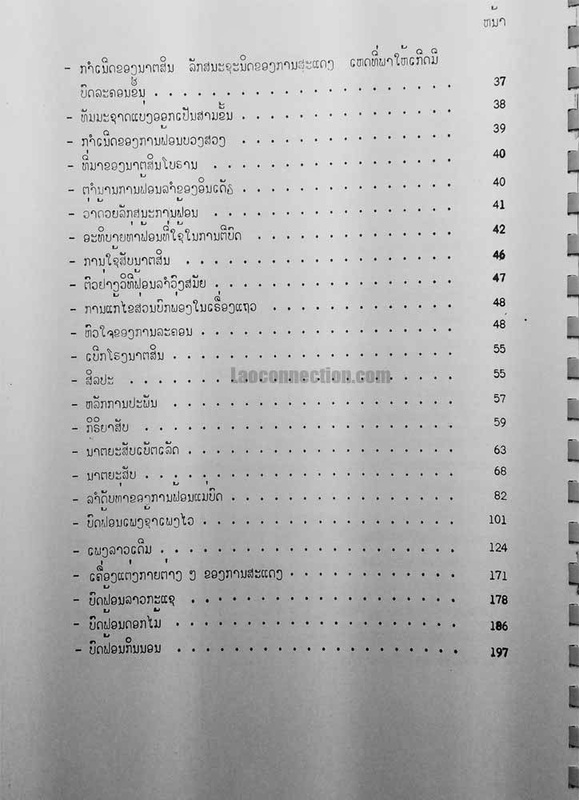 It's written entirely in Lao, mostly text with certain sections having some photos. I would have appreciated more pictures though. Most traditional Lao dancing tends to be slower in pace but fluid with many specific poses and hand, head and foot positions. Similar to other Southeast Asian Buddhist societies, their dances have adapted a stylised form of movement borrowed from Buddhist/Hindu stories, images and murals. Though each have developed unique characteristics. Side note: As an example, try searching online for Burmese/Myanmarian dancing. It's quite interesting. At the most recent 27th SEA Games 2013 held in Myanmar during their opening ceremony it showcased a large number of dance performers and they performed several traditional Burmese dances - all quite wonderful to watch. There was also a part of the performance when they performed a bit of dancing from each participating country as each country's name was called out.